It was my pleasure to attend the 25th anniversary Conference of UKIP in Birmingham last week. I was keen to have a chat with Nigel Farage following his very recent tour Down Under which I believe was his first visit. Sadly we only managed a very short conversation at the Gala Dinner that was full to capacity. 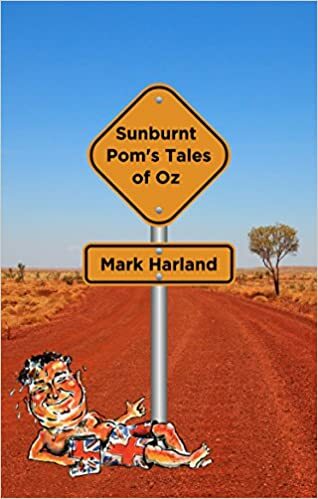 I did however promise him a signed copy of my 'Sunburnt Pom's Tales of Oz' which I think he might enjoy. Birmingham city centre (or CBD as you call it Down Under) is just booming with stunning new office buildings, banks and convention centres springing up everywhere. The city has however taken great care to preserve it's own history and the Hall of Memory, the City Hall and the now immaculately clean canals nestle comfortably alongside the gleaming steel and glass superstructures of the 21st century. Once known only for the automotive and arms industries, England's second city is setting a stunning example to others. New Street Station looks like something out of a Bond movie with a massive glass dome over the whole complex. Talking of Birmingham reminds me that the next series of Peaky Blinders will be back on our TV screens soon. Set in 'Brum' in the 20's it's all about a gangster family turning respectable. It is fabulous entertainment and I hope it hits your screens in Oz soon – if it hasn't done already. Keep your eyes skinned for it. It is tremendous. Travelling in the opposite direction I hope the latest series of A Place to call Home set in NSW in the 50's arrives on our shores soon. Beautifully written and filmed it will, I'm sure, become prime-time TV here in UK. Autumn rains have arrived and returned England's green and pleasant land to its normal hue but the affects on farmers will be long felt – not to mention the knock-on affect on food prices. Yet another reason for Brexit when the British consumer can take advantage of cheaper and better food sources outside the protectionist EU. Roll on the day.